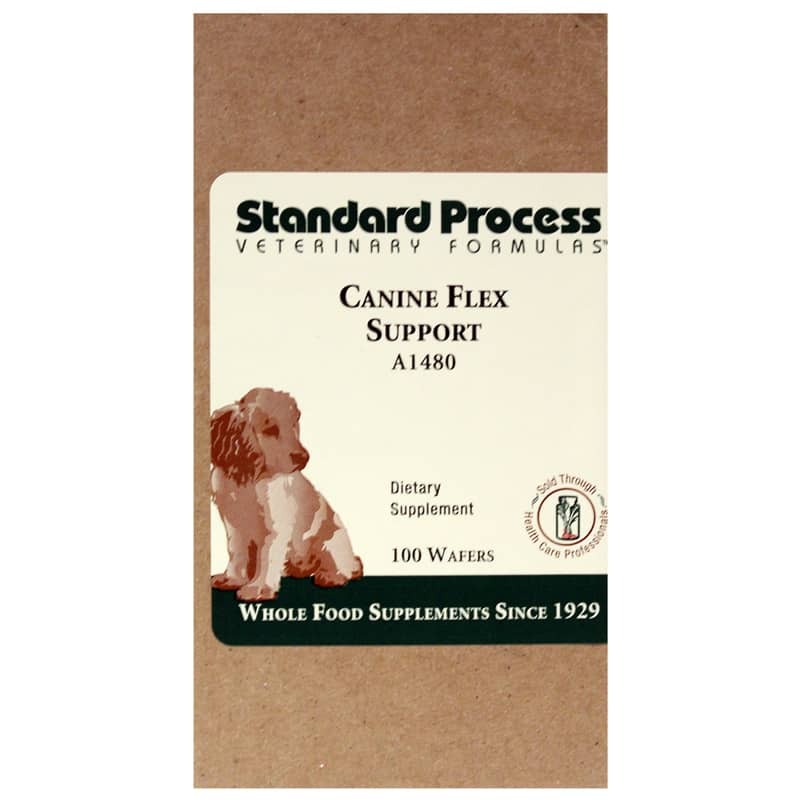 Canine Flex Support by Standard Process helps promote healthy joint structure and function in dogs of all ages with glucosamine sulfate, chondroitin, vitamins C & E, with additional support from ginger and turmeric. 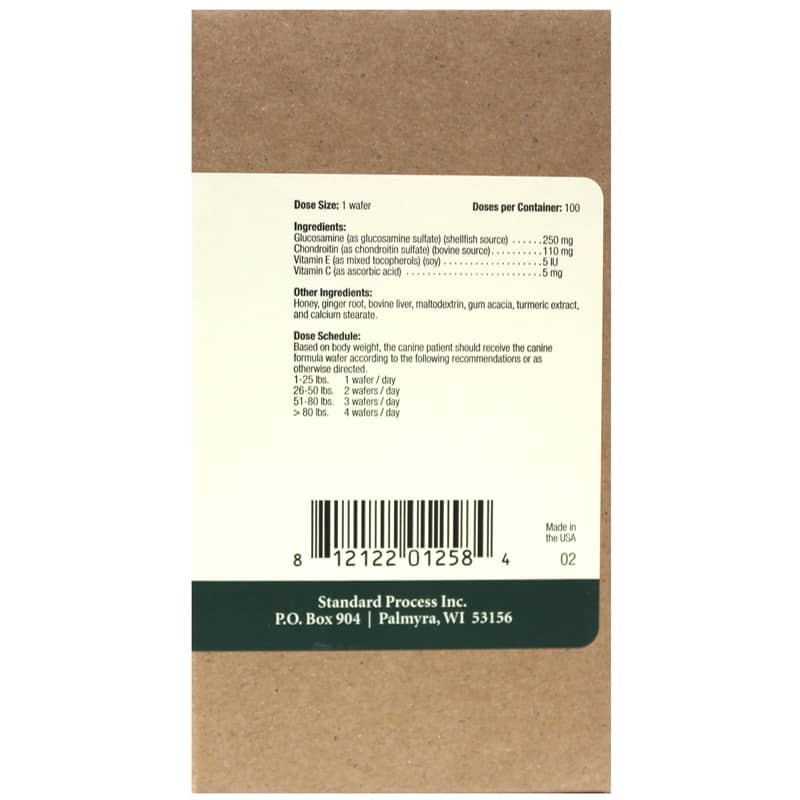 This supplement is intended to support and maintain canine joint comfort and function with natural ingredients that assist normal, healthy cartilage synthesis and help promote a healthy internal response. Suitable for large breeds, dogs with joint challenges, growing puppies, active/performance dogs and aging dogs. Chondroitin sulfate - a major component of cartilage, this substance may help maintain healthy cartilage and reduce joint pain and swelling. Chewable, naturally liver-flavored wafers are easy for dogs to ingest. Use as a natural dietary supplement to support your dog(s) joint health and comfort, whether they're still a growing puppy or a large, active or elderly dog who has some joint issues. Other Ingredients: Honey, ginger root, bovine liver, maltodextrin, gum acacia, turmeric extract, and calcium stearate.